Khim was born in Philippines. He graduated with a bachelor’s degree in Secondary Education majoring English at the Notre Dame Kidapawan College. Because of his academic achievements, his name appeared in the school’s dean’s list. Currently, he is pursuing his Masters Degree at the University of the Immaculate Conception in Davao City, Philippines. Khim was an active youth leader during his high school and college years. He was elected as the student body’s president in 2004 in his university. He served as the National Press Information Officer of the National Youth Commission of Dangerous Abuse Prevention Educator. In addition to serving as a leader, he also won as the Philippine Dangerous Drugs Board Youth Ambassador in Tanay, Rizal in 2004. After his university days, he represented the Philippines as the Youth Ambassador in Kuala Lumpur, Malaysia. He was the recipient of the Best Panelist of the Year award in 2006. He also served as a national speaker for Leadership and Governance in 2005 until 2008. 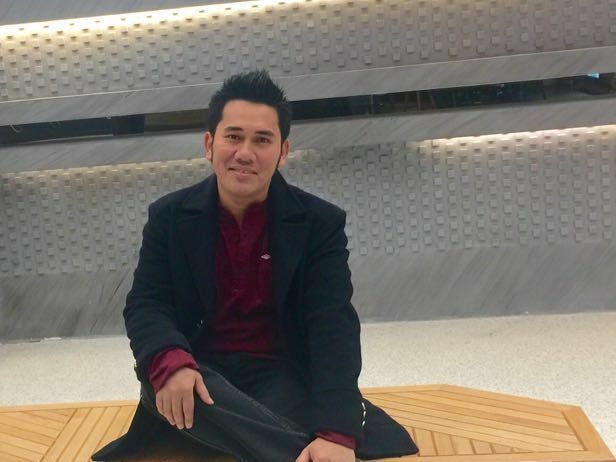 He was a former instructor at the University of the Immaculate Conception, the University of Mindanao, and the Ateneo de Davao University in Davao City, Philippines. During his teaching experience, he received different awards and certificates of commendation, excellence, recognition and participation. Teaching is a challenging task for me. I consider teaching as a critical way of conveying knowledge from the mentor to the learner. It demands a careful way of employing the most effective teaching and learning strategies to the learners for progress to be made. My way of teaching is based on my gained knowledge and wisdom. I teach the way I believed is the appropriate way of teaching because I want my students to feel and experience a unique way of acquiring knowledge. In addition, it is my hope to be remembered by my students as an optimist and exceptional teacher. I want my students to enjoy learning, and be passionate about it. It gives me fulfillment when I witness the academic transformations that my students go through while they are under my tutelage. Leading students into a new world of discoveries delights me. Every session is always considered as a challenging part of my life. I try to accomplish my classroom goals while being mindful of the strengths and weakness of my students. I put an effort in making every lesson understandable and applicable to their lives. I devote sustained effort in preparing the students for the real world that they have to dare after college. I cannot be the lawyer, nurse, doctor, or another profession that they want to be, but I can assist them in determining what skills they need to be in the profession that will bring them joy and success. For me, learning is something transformational, life-long, active and interactive, measurable, and greatly influenced by leadership according to culture and structure. It is a process that takes place when we defy the challenge of the unknown. My diverse experiences as a leader, a contributor to society, and a teacher has helped me defined what learning is in my own perspective. Inside the classroom, I do my best to make every student feel that he belongs to a family, whose common goal is to acquire knowledge and utilize the skills learned while procuring education. Oftentimes, I allow students to interact in different activities and provide them opportunities to recognize what they have learned. Students whose confidence is a challenge are given ample attention, as I also want them to succeed. Another way of facilitating learning is through the application of “IMAGINEERING”, a strategy that incorporates Imagination and Engineering. When we imagine something, it is important that we must put it into action (engineering) and not leave it as a simple dream or illusion. For instance, after engineers plan a project, they actualize the plan by building an infrastructure or a building. Through this, active participation in the classroom will let the students internalize information. Imagineering has led me to my belief that when students are involved in their own learning, it creates a positive classroom atmosphere of cooperative learning, where students learn not only from the instructor but also from other students as well. Moreover, I encourage my students to actively participate in discussions and other activities. They are also urged to ask questions or clarify concepts, especially when they seem baffled. The undertakings mentioned have helped me achieve my goal to connect with students and motivate them to learn. It is my earnest desire to help them harness their potential and fulfill their goals to be successful in education. I want them to enjoy and nourish their lives while learning in my company. I am doing this way simply because I want my students to be my fellow mentors in their own way or in their future professions.